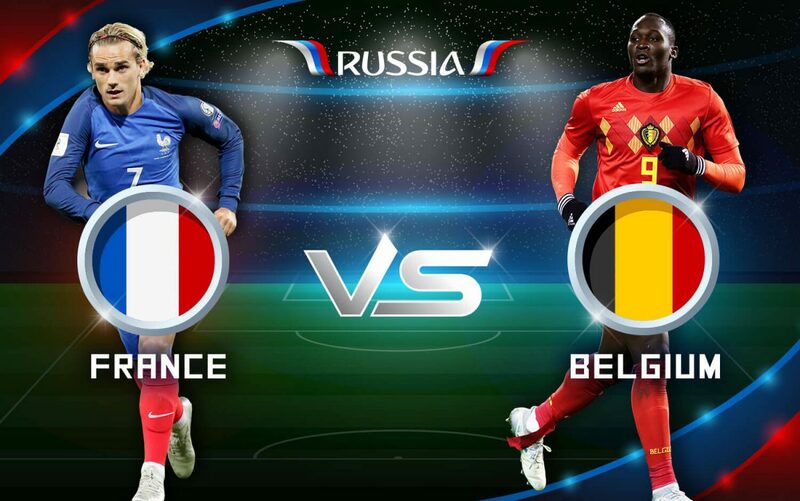 France will square off with Belgium in the 2018 FIFA World Cup semi-final match at the Krestovsky Stadium in Russia on Tuesday (today). Kick-off is at 8:00pm. The Blues eased into the last four after overcoming South American giants Uruguay 2-0 thanks to two goals from Raphaël Varane and Antoine Griezmann in Nizhny Novgorod on Friday. The 1998 World Cup winners are looking to reach the final for the first time since the 2006 tournament in Germany. They lost 5-3 to Italy on penalties following a 1-1 stalemate. Griezmann has stepped up when the Blues needs him the most having netted three goals in the tournament and the Atlético de Madrid forward has the ability to fire France into the final. Another player, who has excelled under France head coach Didier Deschamps in Russia is influential full-back Benjamin Pavard, who has made the right-back his own. Pavard, who is on the books of German Bundesliga side VFB Stuttgart, is expecting an enthralling match against the Red Devils of Belgium. “It’s a super exciting game with great players on both sides,” Pavard said. 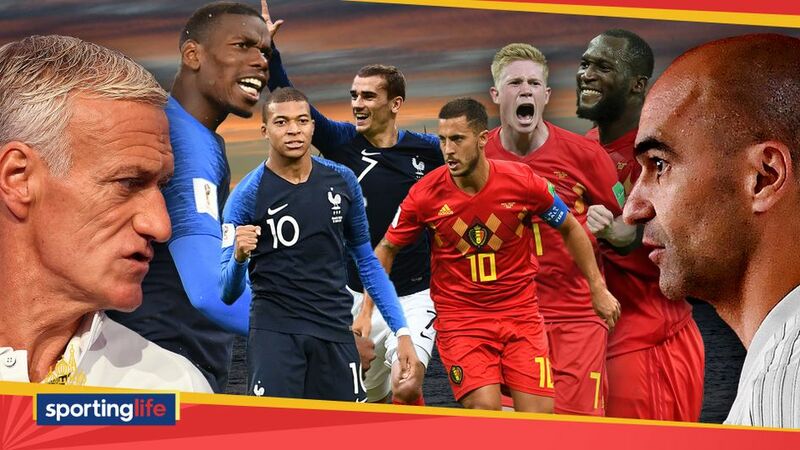 Meanwhile, Belgium secured their place in the semi-finals after stunning record five-time World Cup winners Brazil 2-1 courtesy of goals from Fernandinho (own-goal) and Kevin De Bruyne in Kazan on Saturday. The Red Devils are hoping to reach the final for the first time since the inception of the competition in 1930. They lost 2-0 to Argentina in their maiden appearance in semi-finals at the 1986 tournament in Mexico. Eden Hazard is an inspirational captain for Belgium and the Chelsea FC forward will look to play an important role in helping the Red Devils upset France, and advance to the final. Belgium head coach Roberto Martinez will also look to De Bruyne, who replicated the form that saw him help Manchester City win the 2017/18 English Premier League title against Brazil. De Bruyne is looking forward to their clash France which the central attacking midfielder labeled an extraordinary match. “It will be a different match. Now we have the time so see how we’re going to approach it,” De Bruyne said. “It’s the semi-finals‚ it will be extraordinary. But the whole world will be watching us. 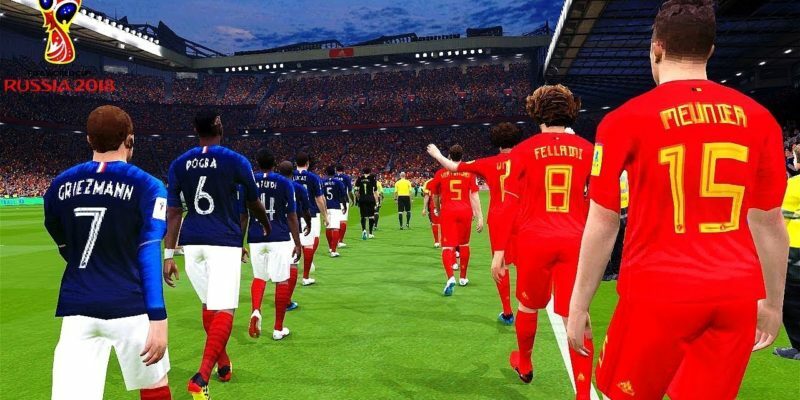 In head-to-head stats according to FIFA.com, France and Belgium, have met 73 times with the latter winning 30 times compared to the Blues’ 24 victories, while 19 games ended in a draw.